Ainol is amazing. 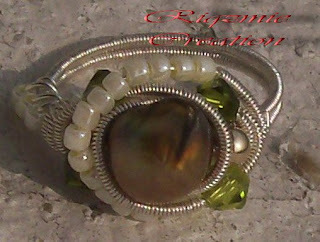 She bought my tutorial for Sparkly Crystal Ring but take a look at what she came up with. 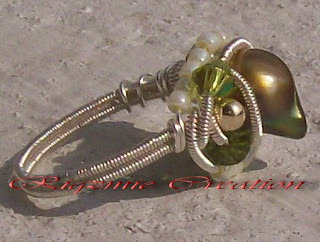 This ring is even more beautiful than my Sparkly Crystal Ring and you can see that she put lots of effort into it to come up with a ring as unique as this one.